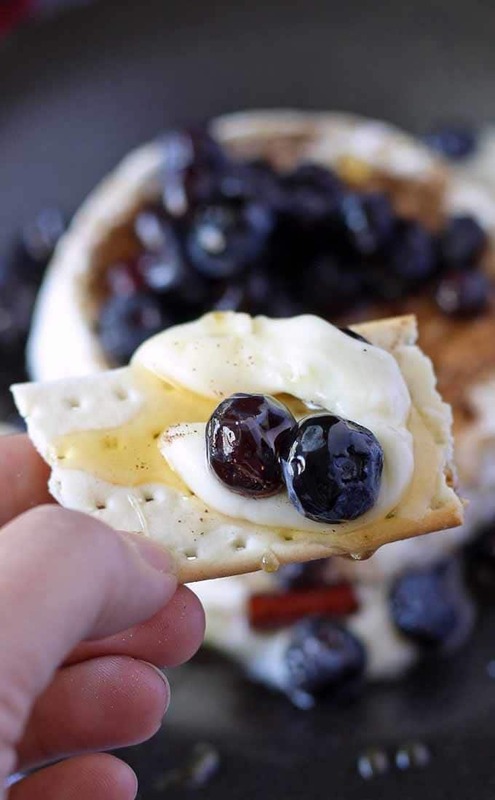 If you have pickled blueberries, brie and pickled blueberries are the perfect combination! This is great for dinner parties and girls night’s in. I went on a farm tour this week (more on that later) and one of the other bloggers there made a comment that has resonated with me all week. She said that all bloggers have to have a little bit of an ego to think that people out there will actually want to read them. I never thought about it like that before but I guess she’s kind of right. We put our posts out there, whether its recipes, beauty tutorials, fashion photos or the more essay like posts of people blogging about life or politics. And we expect people want to read them (or at least pin the pictures to save for later.) If no one does, well, it stings a little. That’s me at least. The only people I really expect to read my posts are my husband and my mom (update: and my best friend.) If anyone else reads them, it makes my day. There may or may not be some singing and dancing involved in my celebration. So I made pickled blueberries a week or two ago. You may have seen them. If not, why not? No, just kidding. But I really did pickle blueberries. I was eating them with a fork (delicious! tart and sweet!) but knew that I couldn’t leave it at that. Who eats a whole pint of pickled anything? I came up with this easy appetizer. I like simple recipes with few ingredients and fewer steps. We can’t always have our way but this recipe is just that. 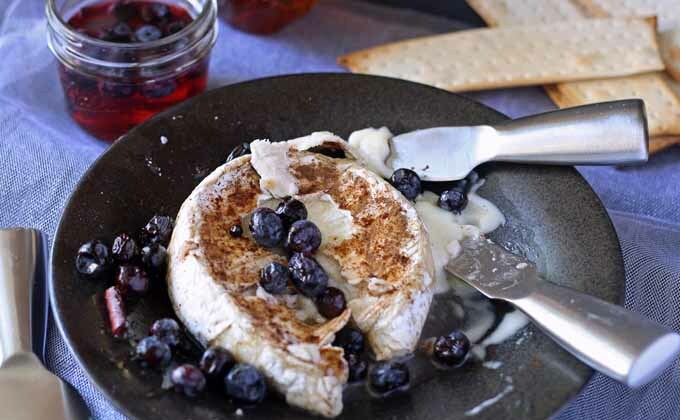 A little honey and a circle of brie can go a long way at a dinner party. Well, this is a little more complicated than that. I sprinkled some cinnamon on top of the brie before baking it. More for some added color than anything, but it helps draw out the cinnamon flavor in the blueberries. 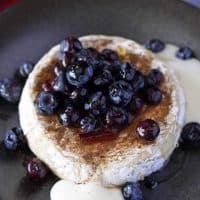 A healthy drizzle of honey and a spattering of pickled blueberries and it’s delicious. My cousin joined me one night in a pickled blueberries taste test session and we had success adding fresh chives to this appetizer. If you go that route, it is more savory and I would definitely add less honey. 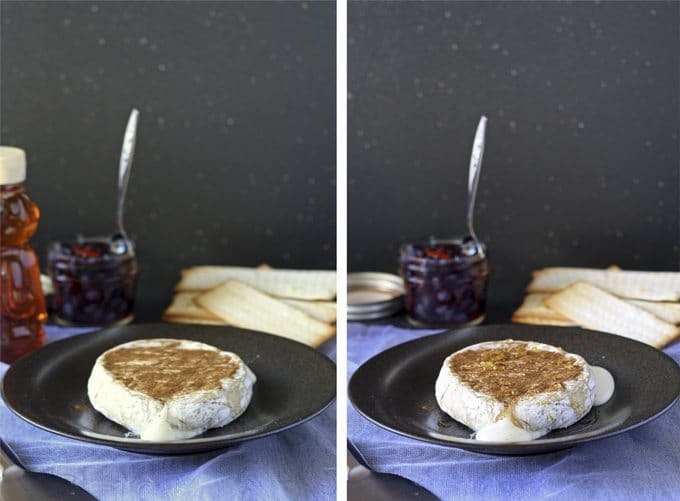 Place the brie on a cookie sheet. Sprinkle the cinnamon evenly over the brie. Bake for 10-15 minutes or until the cheese is oozing out of the brie and the top looks well cooked. Remove the cookie sheet from the oven and use a spatula to remove the brie. Plate it on a plate and pour honey over the top. 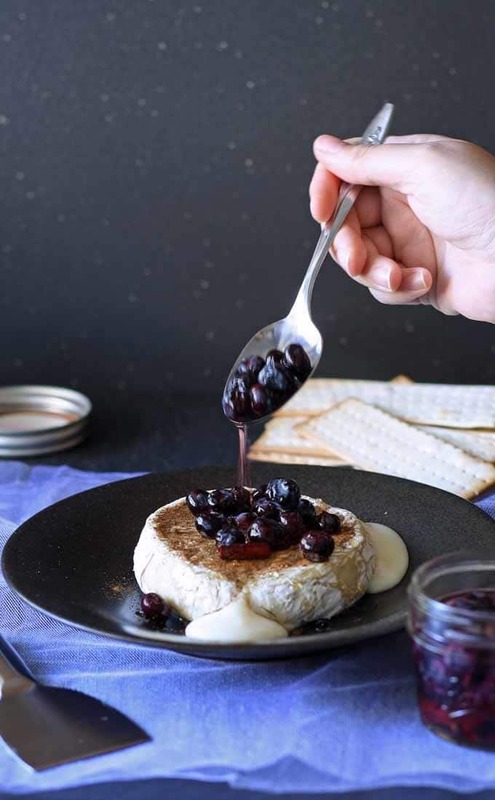 Using a slotted spoon, top the honey and brie with pickled blueberries. Eat with crackers or crusty bread. I don’t know if you can tell but we devoured this! So much cheesy pickled goodness. I hope you like it too! I cannot wait to try this with you 🙂 Cheese is lmy favorite food group 🙂 in the world! I hope you enjoyed this appetizer. I bet it would go great with some wine! We will have to turn this into a wine date! Lol, I know you do! That’s why you’re the best! And we are totally going to have this for our next wine night. Which hopefully will be sooner than later! BTW – your pics are amazing! Thank you 🙂 I’ve been practicing. Awesome! I hope you enjoy it as much as I did! I enjoy spreadable brie with some bread or crackers, but this takes it to a whole new level! 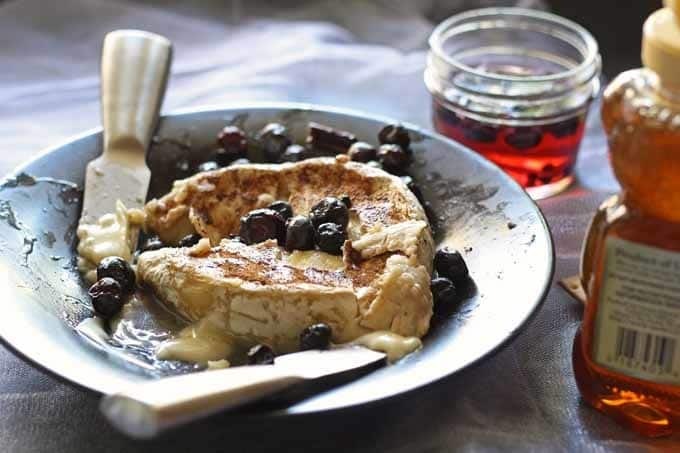 Adding the cinnamon to the brie and then baking the round makes it look so warm and scrumptious! 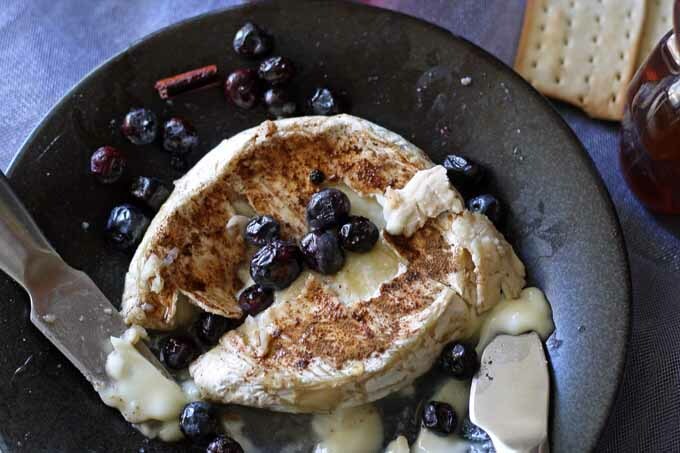 I’ve never had pickled blueberries, but now I have to try it along with this warm cinnamony brie! The pickled blueberries are great on their own too! Did you share your pickled blueberries with us on Tasty Tuesdays? If so I missed it, but am pinning it (and this one) now! You are one up on me as far as regular readers goes, my husband has never read one of my posts. I’m not sure if I shared the pickled blueberries yet, will have to share them next week! Nom nom! Thanks for linking this yumminess to the Creative K Kids’ Tasty Tuesday! 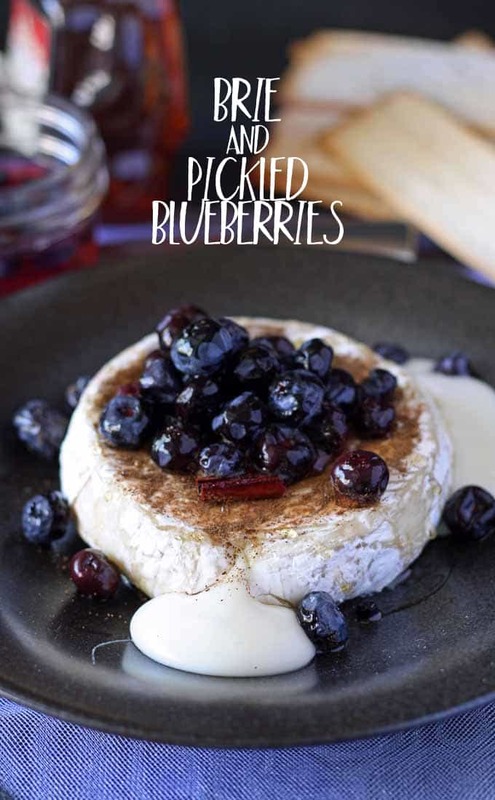 I have never heard of pickled blueberries, but they sound delish. This whole dish looks yummy. Thanks for sharing with us at Family Joy Blog Link Up Party this week. These sound great!! Thank you for sharing with us at #HomeMattersParty . We would love to have you again this week. 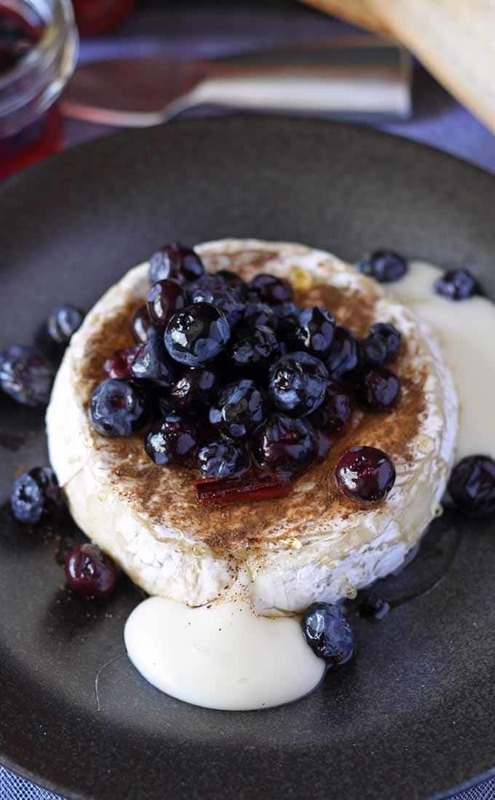 What a fun way to serve brie! Love it and am pinning! Thanks for sharing with us at Throwback Thursday! This is going to be featured at Diana Rambles tomorrow and has been pinned & yummed! Thanks for linking up!